Welcome to APPA Relias Academy! 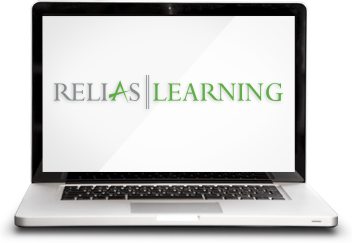 APPA Relias Academy is a comprehensive Continuing Education solution for community corrections professionals and their small organizations of under 15 users, brought to you by Relias Learning, in partnership with the American Probation and Parole Association. Relias Learning offers Learning Management System solutions for large organizations that carry out staff training. More information on Relias Learning solutions can be found at www.reliaslearning.com. Relias Learning is the leading online training provider for Corrections and Public Safety, which includes community corrections. They also support online training for allied professionals in health and human services, intellectual and developmental disabilities, and senior care organizations. It is Relias Learning’s mission to help their customers achieve the highest quality practice and accreditation standards with online learning and compliance programs. The American Probation and Parole Association (APPA) is an international association composed of members from the United States, Canada and other countries actively involved with pretrial, probation, parole and community-based corrections, in both criminal and juvenile justice arenas. All levels of government including federal, state/provincial, local and tribal agencies are counted among its constituents. A key component of APPA’s mission is to meet the professional development needs of the community corrections professionals with quality and affordable training. In partnership with Relias Learning and through various federally and privately funded initiatives, APPA is able to provide online training solutions on the APPA Relias Academy site and via Relias Learning’s Learning Management Systems solutions for individuals and agencies. Relias Learning is based in Cary, North Carolina. For more information, visit www.reliaslearning.com.